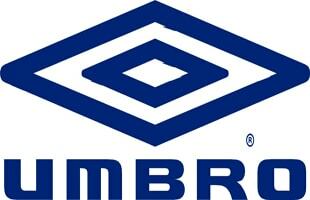 Umbro is a sportswear and football equipment supplier based in England. The company is now part of Nike. Umbro designs, sources, and markets sport-related apparel, footwear, and equipment. Its products are sold in over 90 countries worldwide.